The Kempegowda International Airport (KIA) has registered a growth of 28.1% from July to September this year compared to the corresponding period last year. BENGALURU: The Kempegowda International Airport (KIA) has registered a growth of 28.1% from July to September this year compared to the corresponding period last year. Altogether 8.13 million passengers have travelled from the airport in the second quarter. According to an official release, the three-month period ending September 30 had 8.13 million flyers as compared to 6.35 million during the same time last year. 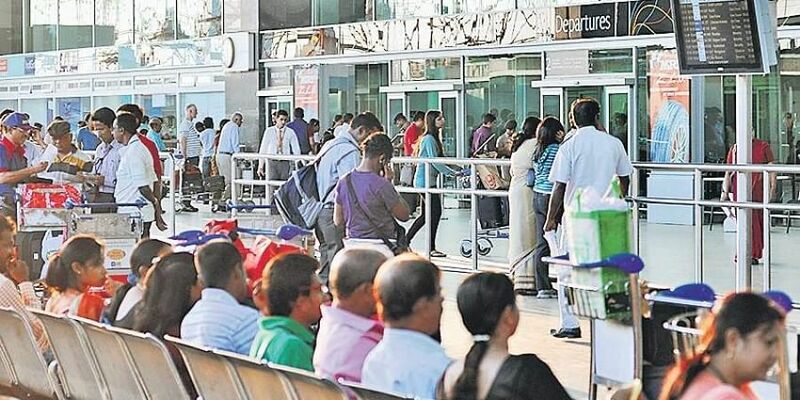 The domestic segment has seen an increase of 30.5% with 7.07 million flying out of the city from July to September while the international segment saw a 13.8% increase at 1.06 million passengers. “The launch of new routes, superior load factors and attractive offers contributed to its growth trajectory,” the release added. Dubai was the top international destination for Bengalureans followed by Singapore and Colombo. Among domestic destinations, Delhi was the most sought after destination while Mumbai stood at second and Hyderabad was third. The number of flights that arrive and depart (air traffic movement) grew by 23.4%. There were 59,184 landings and take-offs as compared to 47,971 earlier. It also set a record for the highest ever air traffic movements a day by managing 692 aircraft on August 31. Its previous record was 685 set on May 4 this year. The average daily flight movement was 643 per day. “We are third busiest airport in the country and the second fastest growing airport in the world ... and the demand for air travel will continue to soar in the coming years,” said Hari Marar, MD & CEO, Bangalore International Airport Limited. The cargo growth too has been impressive at 16.4%. The airport handled 1,04,093 metric tonne in Q2 as compared to 89,426 metric tonne during the same period last fiscal, the release added.